Alsup, a 51-year-old trucker from Greenback, Tennessee, was parked at a Waffle House outside Fayetteville, North Carolina, Sunday night for a quick pit stop. 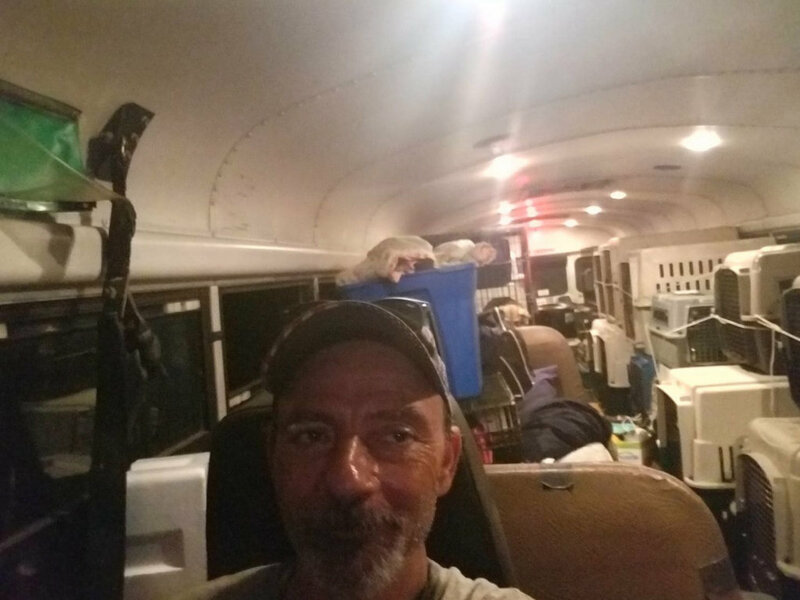 He had been on the road since Monday, when he hopped in his bus and headed toward the coast, committed to rescuing as many animals as possible ahead of Hurricane Florence. On Monday, he headed to Wilmington, North Carolina — hoping he can make it there. He said he’s heard the roads are closed, that everything is flooded and no one can get through.